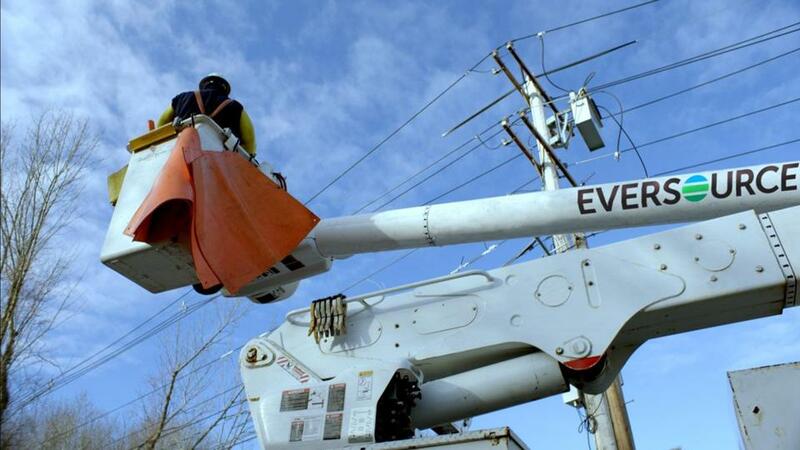 According to a report commissioned by the attorney general, 500,000 Massachusetts residents who switched to competitive supply companies are paying more, on average, than they would if they’d stayed with Eversource, National Grid, or Unitil. You know those energy company reps who knock on your door at the worst possible moment, offering to save you money on gas and electric bills? It’s a good bet they’re shady. Send them away immediately. That’s what Rafael Fuentes didn’t do when a man from SFE Energy rang his doorbell in August of 2017. He was sure the rep was from Eversource. Then again, Fuentes speaks very little English, so even if the rep had properly identified himself, Fuentes wouldn’t have understood. Fuentes let him into his home and signed a complicated, untranslated document with lots of fine print. Then Fuentes’s energy bills jumped. Not until he called Eversource did he learn he’d agreed to switch energy supply companies, and locked into a three-year contract. “I felt angry and foolish,” Fuentes said through a translator. Since then, he has paid at least $500 more than Eversource would have charged him, said Alexa Rosenbloom, an attorney at Greater Boston Legal Services who sued SFE last week on behalf of Fuentes and others. It is far more than the parking valet and father of two can afford. In an email, Jeff Donnelly, director of regulatory affairs and compliance at Ontario-based SFE, said “SFE strongly refutes Mr Fuentes’ allegations.” He said the SFE representative who visited Fuentes clearly identified his employer, that the rep and a third party who verified by phone Fuentes’ agreement to switch providers also made all the disclosures required by law, and that Mr. Fuentes fully understood them. But Fuentes has plenty of company. SFE is one of about 50 companies in Massachusetts that go door to door, or call residents directly, promising to lower their energy costs. Hundreds of thousands of residents have learned those promises can be worse than empty. According to a report commissioned by the attorney general, the 500,000 Massachusetts residents who switched to these competitive supply companies are paying more, on average, than they would if they’d stayed with Eversource, National Grid, or Unitil — $253 million more, between 2015 and 2018. The energy companies have criticized the report and accuse the AG of blaming all for the sins of the few. But consumers are crying foul all over this stateand others. The Department of Public Utilities received 832 complaints about aggressive and deceptive marketing and other business sins in the 12 months since August 2017. Worse, the AG’s report found that these companies target those least able to afford their products: poorer households, minority residents, and people who don’t speak much English. Lower income households sign their contracts at twice the rates of others. The companies also target older people, like Nancy Murphy’s mother, Marie, who has dementia and is clearly impaired. An SFE rep knocked on her Everett door last summer, and she let him in. It’s a disaster. It’s also the very opposite of what was supposed to happen when Beacon Hill deregulated the energy market in 1997. Allowing more companies to compete was supposed to mean better deals for customers. Instead, it opened the door to predators. It is the job of the state’s Department of Public Utilities to protect residents here, but the department has been sluggish to respond. It has helped individual residents extricate themselves from expensive contracts, but it has been oddly reluctant to penalize energy supply companies for predatory marketing or to revoke their licenses to do business here altogether. Though there are signs that it might finally be lurching into action: In February, the DPU put energy company Union Atlantic Electricity on notice for possible penalties. It’s a start. In the absence of more aggressive protections, an army of public interest attorneys, from the overworked souls at Greater Boston Legal Services to the attorney general’s office, is bringing cases on behalf of the snookered. They have won some big settlements, but the energy companies seem to view the fines as a business expense. Whack-a-mole time is over. The state’s experiment in deregulation has failed for individual consumers. It’s time to shut the door (and hang up) on the companies that make bank by tricking people. Luckily, there’s legislation afoot to do just that: It would ban new competitive electric supply contracts for residential customers beginning in 2020. It’s past time for legislators to act. This column has been updated to include a response from SFE Energy.